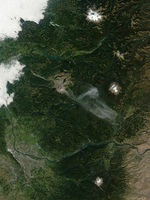 This series of Moderate Resolution Imaging Spectroradiometer (MODIS) images from the Aqua and Terra satellites shows the Fawn Peak Complex Fire in Washington in July 2003. The Fawn Peak Compmlex is the largest cluster of red dots in the images. This complex consisted of three fires—the Fawn Peak, Farewell Fire, and Sweetgrass Fire—that were started by lightning on June 29, 2003. By July 16, the Fawn Peak and Sweetgrass Fires were under control, but the Farewell Creek Fire continues to grow rapidly in the steep, dry, and rugged terrain of the Pasayten Wilderness in north-central Washington, right near the Canadian Border. 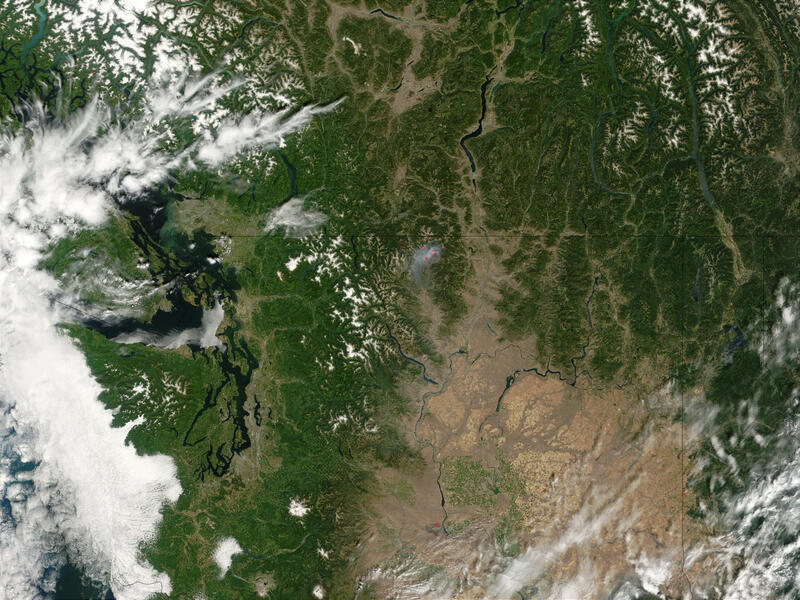 The fire had grown to more than 60,000 acres by July 27.